The ceremony took place in Cairo at the Egyptian parliament, the House of Representatives, where Sisi vowed to protect the republic, its sovereignty and integrity, to respect its laws and the constitution, as well as to act in the best interests of the people. "Healthcare, education and culture will be the center of my attention… A number of projects and large-scale programs will improve the lives of Egyptians," Sisi said during the ceremony, also recalling the success of a number of programs launched during his first term in office to improve infrastructure and create jobs. The president also mentioned his foreign policy priorities, which are improving relations with Egypt's partners, not meddling in foreign conflicts and respecting the sovereignty and territorial integrity of other states. 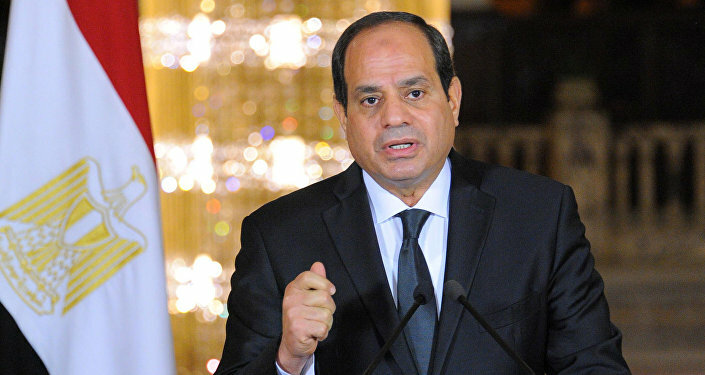 Sisi has been the Egyptian president since June 2014. This year, he was re-elected with 97 percent of votes in the March 26-28 poll with a 41-percent turnout.